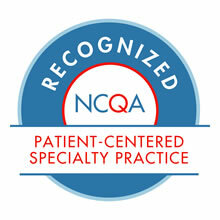 The NCQA's Patient-Centered Specialty Practice recognition bridges specialty and primary care coordination. Emory Transplant Center is the first transplant center in the nation to earn PCSP recognition. Emory Transplant Center is the first transplant center in the nation to earn Patient-Centered Specialty Practice (PCSP) Level 3 Recognition from the National Committee for Quality Assurance (NCQA). Level 3 status is the highest level of recognition a practice can receive. The NCQA is a private, nonprofit organization dedicated to improving health care quality. After developing the Patient-Centered Medical Home model for primary care, the NCQA is extending the medical home concept to specialists. Building on a model that combines teamwork, information technology to improve care and the patient experience, the PCSP bridges specialty and primary care coordination. "We are so proud of this major accomplishment by the Emory transplant team," says Thomas Pearson, MD, DPhil, professor of surgery, division of transplantation and executive director of the Emory Transplant Center. "Delivering patient-centered care has always been our mission, so to receive the highest level of recognition from the NCQA is especially rewarding." Establish formal and informal agreements with referring clinicians to exchange key information. Maximize teamwork among care team members, including patients, families, and caregivers. Provide timely access to care and clinical advice based on patient need. Use a systematic approach to track patient information and coordinate care. Include patients and family/caregivers in care planning and management. Continually measure performance and patient experience to identify ways to improve. "This 14-month project allowed us to evaluate in detail how our center works, from the point of view of patients and referring clinicians," says Pearson. "We look forward to utilizing what we've learned to continuously improve in areas such as communicating with our referring providers, tracking and managing patient care, providing access to care and more." Earning NCQA PCSP recognition shows consumers, private payers and government agencies that Emory Transplant Center, a top 10 transplant center in the nation, has undergone a rigorous review of its capabilities and is committed to sharing information and coordinating care. Recognition also signals to primary care practices that the specialty practice is an effective partner in caring for patients. "Coordination between primary care and specialty teams is very important for our patients undergoing transplant," says Jonathan S. Lewin, MD, president and CEO of Emory Healthcare. "Our teams have worked diligently to meet the standards for this specialty recognition from the NCQA, and we are honored to be the first transplant center in the U.S. to earn this prestigious designation." The recognition lasts for three years, then practices must re-apply for future recognition. Emory Healthcare has also earned recognition from the NCQA in the primary care arena. The Emory Healthcare Network has a total of nine NCQA-recognized Patient-Centered Medical Homes throughout metro Atlanta. As one of the top 10 transplant centers in the nation, Emory Transplant Center is at the forefront of clinical excellence and pioneering new transplant therapies. The center offers cutting-edge technology and superior outcomes in heart, kidney, liver, lung and pancreas transplant surgeries. Emory Transplant Center, a part of Emory Healthcare, has performed more than 8,000 transplants to date and all solid organ programs meet Transplant Centers of Excellence quality outcome criteria. The center's core mission is to provide exceptional care for patients in need of organ transplants, while offering access to the latest transplant technology.